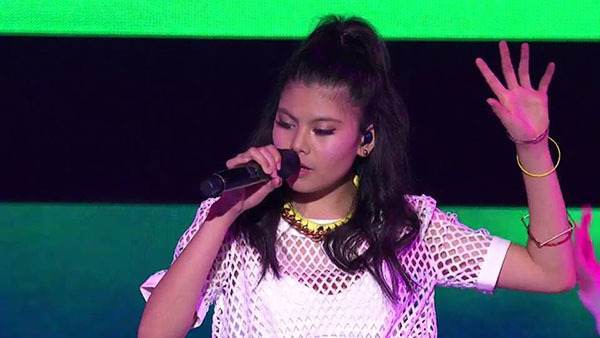 The X Factor Australia 2014 winner Marlisa Punzalan performs her new single called ‘Forever Young’ on The X Factor Australia on Monday, November 9, 2015. Watch Marlisa’s performance on the video below. Last year, the 15 year-old Filipino descent singer from Glendenning New South Wales was hailed as the The X Factor Australia 2014 grand winner. Marlisa won the Australia’s heart with her superb vocals and powerhouse performances. Meanwhile, the remaining Top 5 artists of The X Factor Australia 2015 are vying for a spot in the finals tonight. Check out their performances here. Did you like Marlisa’s new single? Share your thoughts on the comment section below.